October is all about pumpkin and nothing is better than that. 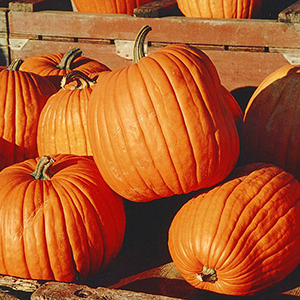 Pumpkin is bursting with fiber, vitamins A and C, antioxidants and anti-inflammatory properties. Sweet and delicious do not describe the flavor as well as the word ‘comfort.’ Here are 5 fabulous ways to enjoy pumpkin this season – why not? — year round. Pumpkin in the morning. What’s your go-to? Yogurt? Make a pumpkin yogurt parfait by mixing a tablespoon of canned pumpkin into your yogurt with a ½ teaspoon of cinnamon and layer a tablespoon of pumpkin seeds and walnuts. Is toast your thing? Spread a teaspoon of coconut oil and a tablespoon of pumpkin on a slice of Ezekiel toast and grind a little cinnamon on top with a tablespoon of chopped pecans. If oatmeal gets you going in the morning, add a tablespoon of canned pumpkin, a tablespoon of walnuts and a drizzle of honey to get your day off to a healthy start. You can also add a spoonful or two to your favorite pancake recipe. Don’t forget to make a double batch. They’ll go like hotcakes! Note: canned pumpkin is a super nutritious, hassle free way to enjoy the best that pumpkin has to offer. Don’t mix up straight up pumpkin with canned pumpkin pie, which has added sugar and spices. Remember to transfer unused contents into an airtight glass, silicone or plastic container and store it in your refrigerator. Move over French Fries, pumpkin fries rule dinner. Swapping your usual root veggie option for pumpkin works almost every time (think roasted, baked and boiled) but nothing is more genius than swapping the spuds for the classic fry. Baked and seasoned pumpkin fries are similar to sweet potato fries and you can opt for sweet with a sprinkle of cinnamon or savory with a shake of rosemary or thyme. I recommend using coconut oil on the bottom of the pan and a silpat to make for easy cleaning. Keep your portion in check because it’s easy to overdo it, but even if you happen to overindulge, ditch the guilt. These frites are nothing but healthful!